But a dog would damage the expensive carpets in Hal's glamorous home, and his wealthy parents refuse to consider one. Then they discover Easy Pets, a convenient dog-rental agency. Terrier Fleck arrives on Hal's birthday, but when Hal discovers that his dog must be returned, he runs away. Hal and Fleck are joined by a group of pedigree breeds joyfully escaping from Easy Pets - among them is Otto, the wise and sombre St Bernard, and the fierce and excitable Pekinese Li-Chee. A large reward is offered for the missing boy, and soon Hal and his dogs are being chased across the country by ruthless pursuers. Helped by a travelling circus, and the sympathetic children from an orphanage, they race for their freedom in a classic adventure in the tradition of 101 DALMATIANS. 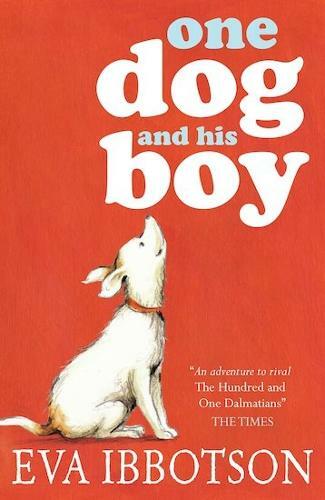 Every dog-loving child will adore this irresistible story from a truly great and much-loved children's author. This was my brothers first chapter book with us and it was a huge success. Plus the hardback edition comes with a beautifully illustrated dust jacket.